Want to Teach Your Prospects and Clients Valuable Financial Concepts BEFORE They Even Meet You Face-To-Face? Most clients can’t make learning and buying decisions at the same time. Now you can let Whole Truth Videos start the teaching for you! The Whole Truth Videos Will Help Your Clients Overcome Preconceived Ideas About Money & Breakthrough Mental blocks & Limiting Paradigms! NOW AVAILABLE: 13 Videos from the Full-Day Presentation! Dozens of advisors attended a training with Truth Concepts developer and CEO Todd Langford, along with his wife and top producer, Kim Butler. 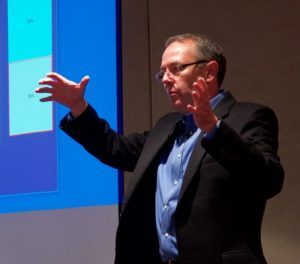 Todd Langford no longer works directly with financial clients, but in this full-day “client-friendly” presentation, he uses the entire suite of Truth Concepts calculators to banish the myths of “typical” financial advice in his compelling show-and-tell style. Be a “fly on the wall” and watch Todd Langford tell the whole truth about money, dispelling common myths and misperceptions with undeniable mathematical truths. Use these videos to remind clients of a conversation you’ve had, to prepare them for a conversation you’re about to have or to review when you don’t have a chance (or perhaps the confidence… yet) to present the material to them directly yourself. 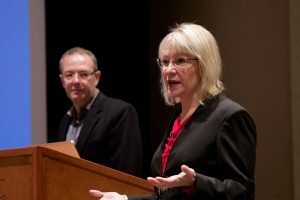 As an added bonus, most videos include a client-friendly introduction from Kim D. H. Butler to raise curiosity and invite the viewer to take a fresh look at their assumptions. The Hidden Method that Earns Gains of 200% or More! Using the small Financial calculators in Truth Concepts, Todd explains how banks earn money using leverage, and how anyone can use this same powerful strategy to their advantage. Don’t Trust Your Best Interests to the Finance Department! Utilizing the small Financial calculators and the Auto Financing calculator, Todd clarifies why “0% financing” rarely is zero, how to make sure you get the best deal on a car or other major purchase, and why using your own cash has a cost! Todd uses the Loan Analysis calculators to re-examine common advice about 15-year vs. 30-year mortgages. How do we take into account time frames, opportunity costs and taxes? Which is really the most efficient? Once we understand opportunity costs, we realize the actual cost of an education goes far beyond tuition, housing and books! Todd shows how to tell the truth about the cost of college with Cash Flow and Education calculators. Demonstrating the Laffer Curve on the Cash Flow calculator, Todd explains how taxes do a “vanishing act” with our wealth… and why high taxes are also inefficient for the government! Using the Truth Concepts Maximum Potential calculator, Todd shows the necessity of reducing costs and saving more, rather than taking on greater risk to compensate for not saving enough. In this rebuttal of one of Dave Ramsey’s blog posts, Todd uses the Accumulation calculator, small Financial Calculators, and the Market History and Life Values tools to reveal just how disturbingly wrong Ramsey’s assertions are. Then he shows how a whole life policy would have outperformed Ramsey’s recommended strategy, had his math been correct. Using the Funding calculator, Todd demonstrates whole life insurance internal rates of return and how to adjust for taxation and fees when comparing to other assets. He also discusses what kind of asset cash value is, and why comparing it to high-risk financial vehicles is misleading. Demonstrating the Qualified Plan calculator, Todd explains some common misconceptions about 401(k) and other retirement plans and illustrates the impact of employer matches, tax deferrals, taxes, and fees. Sometimes business owners are told half-truths by accountants and don’t fully understand the costs and the real returns they might expect to experience when they implement a company 401(k). Todd sets the record straight with the Qualified Plan calculator so that business owners can make informed decisions. Using examples of a 35-year old invested in the stock market and a 55-year old invested in stocks and bonds (both with term life insurance), Todd uses the Diversification calculator to demonstrate how the returns and the net to heirs can be improved by diversifying with whole life insurance. With a Borrowing Strategy and small Financial calculators, Todd explains the Infinite Banking Concept using a Shoebox, a Bank, and a Life Insurance Policy. Significantly increase your assets by “being an honest banker” and paying yourself the financing fees while the money you are leveraging continues to grow. Using the Real Estate Analysis and small Financial calculators, Todd analyzes an excellent real estate investment deal. Next, he shows how the returns can be significantly increased by borrowing against whole life insurance for the down payment. PLUS… You’ll get lifetime access! Your one-time payment gives you permanent access to watch or share these videos. As you can see, you can’t afford NOT to have this video series from The Whole Truth About Money event! Whether you use them yourself or send them to clients, you’ll find these videos will help you bust financial myths and communicate essential concepts. Ready to help your clients understand financial concepts in a way that is tangible and memorable? Get the Whole Truth Videos! Your satisfaction is guaranteed. Take a full week to preview the videos and ensure that you are pleased with the quality. If you don’t believe this collection of videos will be a valuable asset for your business, let us know and we will refund your purchase price. You’ve got nothing to lose. Whether you are watching the videos to learn or using them with clients for third-party confirmation of concepts and strategies, it’s a no-brainer having a financial software expert like Todd Langford in your corner!